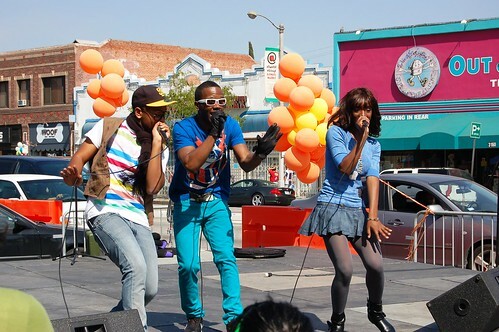 Artwater Rappers, originally uploaded by Atwater Village Newbie. NEXT TIME, how about more tents? Found! 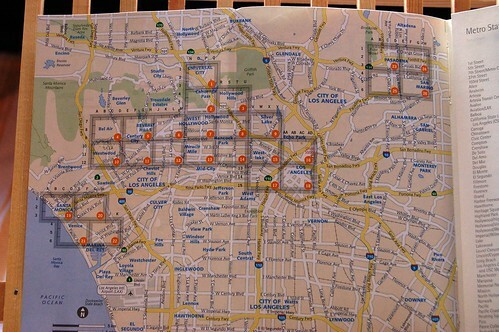 City Notebook for LA, originally uploaded by Atwater Village Newbie. ANGELENOS HAVE BEEN promised their own version of the Moleskine City Notebook, with street and Metro maps, and plenty of blank and tabbed pages to create "your guide to Los Angeles," since late 2006. 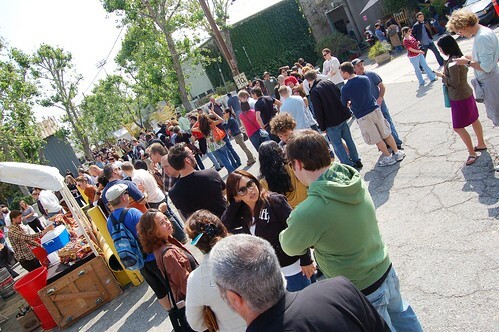 At first, LA's version was promised spring 2007. Then fall 2007. 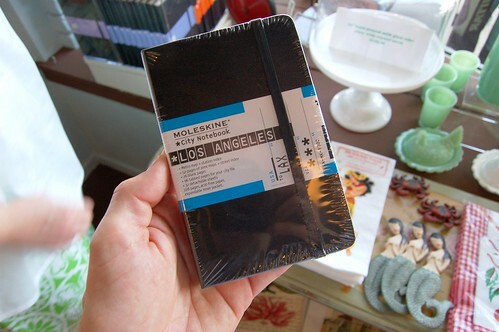 Now it's spring 2008, and this is the first time I've seen the LA City Notebook. CHATTER, NEWS, GOSSIP, and lost and found. Lips #1, originally uploaded by theturningman. The Artwater Music and Art Festival benefits Sonic Muze, raising funds for musical instruments and art supplies for Atwater Village, Los Feliz, Glassell Park and Silver Lake area schools. HAILING ALL THE WAY from Studio City, an "organic-friendly fast-food place," Hugo's Tacos, is opening a second location in Atwater Village this summer. It looks like they'll be taking over the Longs Realty building at 3300 Glendale Blvd., the one with the giant chalkboard advertising available properties with mostly legible scrawl that rarely seems to plan ahead for the right edge of the board. The LA Times found Hugo's burritos "yummy" and the the menu tops out at $6. Could Hugo's give neighborhood fave Tacos Villa Corona a run for the money? WE WANTED STEAK and eggs. It was dinner time. But we didn't have steak and eggs in the house. And we didn't really want to leave the house. Considering we'd pay tax and tip had we gone to the restaurant, the difference tonight was delivery and convenience fees. So was it worth $7.46 to avoid getting properly dressed, loading into the car, driving 5 miles round trip and finding a place to park on a busy Friday night? For now, mostly due to the one hour wait, it's a definite maybe. Ask again when gas hits $5 a gallon. 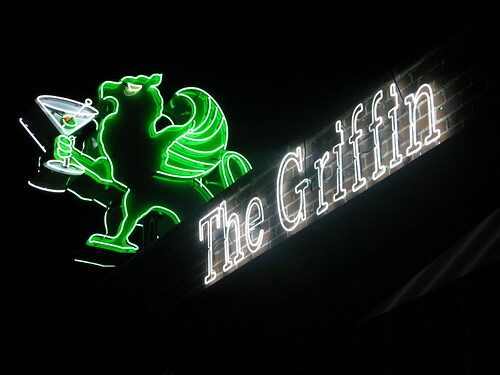 The Griffin sign, originally uploaded by Caroline on Crack. PEOPLE COME FROM far and wide - OK, maybe from Silver Lake - to bask under the neon lion-eagle at The Griffin, 3000 Los Feliz Blvd. in Atwater Village. Caroline on Crack: "My new favorite bar? The Griffin in Atwater Village. Friendly staff (even the bouncer chatted with me and smiled nonetheless), great drinks, lots of seating areas, a jukebox! and tater tots." loves cereal: "The Griffin is this cool little hangout with a fireplace and lots of good seating inside. They even have a juke box." Keep in mind that these properties, like most single-family homes in Atwater Village, won't offer nearly as much real estate as you'd find in the real Beverly Hills. 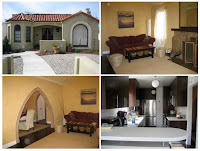 The average Atwater residence was built 80 years ago and is about 1,100 square feet. Chilaquiles!, originally uploaded by Michael A. Brown. 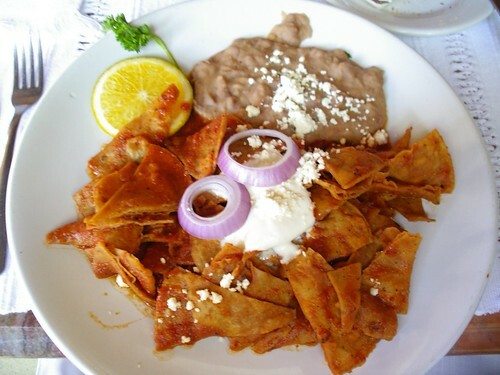 Chilaquiles are corn tortillas, cut in quarters and fried until golden, Next, green or red salsa, or even mole, is poured over the the crispy tortilla triangles. The dish is topped with cheese and/or sour cream. A Frito pie is Frito corn chips, with a cup of chili poured over the top, usually finished up with grated cheese or onions and jalapeños and sour cream. Other than spice, they basically have the same flavors and textures, too. i've been addicted to farmers market's lately. 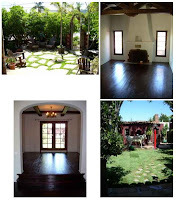 we go to the silverlake market saturday mornings and the atwater village market on sundays. i like picking flowers for the house and vegetables for cooking dinner. i prefer the atwater village market to the silverlake market because the people are less sceney at the atwater village market. 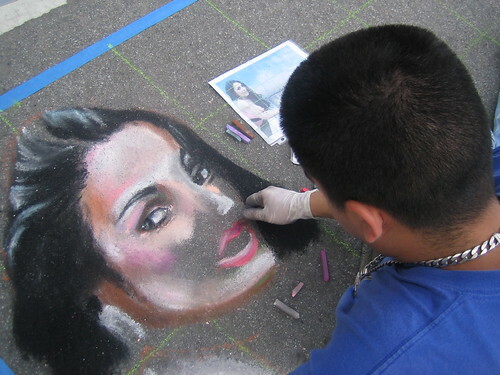 EASILY THE MOST colorful annual event in Atwater Village, the Artwater music and art fest returns Saturday, April 26, 2:00 to 10:00pm along Glendale Blvd. As a warmup to the 2008 version, see The Turning Man's excellent photo gallery of last year's event. Beer Left, Food Right, originally uploaded by Atwater Village Newbie. FOR THREE YEARS I've wanted to attend the Brewery Art Walk but for one reason or another haven't gone till now. And now that I have been, I really wish I had started attending three years ago. Too much to see in a day. Too much to see in a weekend, really. Too much art. Too many hipsters. (Generations of them, hipster moms with hipster daughters.) To be continued. Next year.